RICHLAND, Wash. — Medical isotopes are used daily around the world to visualize and diagnose cancer, heart disease and other serious ailments. However, the production of these lifesaving medical isotopes can emit gasses that, while posing no danger to the public, have features that look similar to those produced by a nuclear explosion. The Department of Energy’s Pacific Northwest National Laboratory is working with production facilities around the world to install monitors that will help understand more about the levels and timing of these emissions. Using that information, governments and agencies watching for signatures of nuclear explosions can more easily assess their readings and ensure emissions from medical isotope production are not misinterpreted. 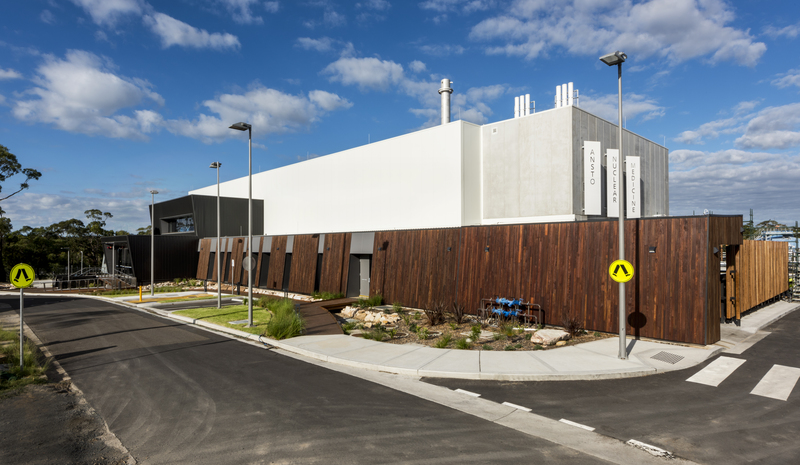 In October, PNNL worked with the Australian Nuclear Science and Technology Organisation to install a detector system at ANSTO’s medical isotope production facility in Lucas Heights, Australia. Previously, the Institute for Radioelements in Fleurus, Belgium installed a monitor in its effluent stack. Both IRE and ANSTO produce the medical isotope Molybdenum‑99, or Moly-99, by irradiating uranium in a reactor. Gaseous fission products, like the isotopes of Xenon, are released in the process, increasing worldwide background levels of this gas. The Preparatory Commission for the Comprehensive Nuclear-Test-Ban Treaty Organization notes that four radioxenon isotopes are possible indicators of a nuclear explosion and may provide forensic evidence for analysts. CTBTO PrepCom analysts track airborne radioxenon through the International Monitoring System. PNNL scientists are experts in developing methods of detecting extremely low levels of radioactive isotopes. While the monitors being installed in the stacks are off-the-shelf devices, they’ve been slightly modified to PNNL specifications. PNNL is working with the U.S. Departments of State and Defense and the National Nuclear Security Administration to install additional detectors via a project called STAX, or Source Term Analysis of Xenon. There are currently no companies in the United States that produce Moly-99 through the fission of uranium. However, approximately 40,000 Americans receive doses of Technetium-99m each day, typically to diagnose cancer, heart disease and other serious health conditions. Technetium-99m is a short-lived daughter radioisotope of Moly-99. Worldwide, there are some 40 million procedures done per year involving Technetium-99m, most of which is derived from fission-based Moly-99 that gives off radioxenon during its production process. The network of stack monitors will confidentially transmit data to a central database for compilation, analysis, and screening. Eventually, the data created by these stack monitors will be used in a model that predicts xenon levels in the atmosphere. In the event of a suspected nuclear explosion, this knowledge can quickly rule out unrelated sources of xenon.